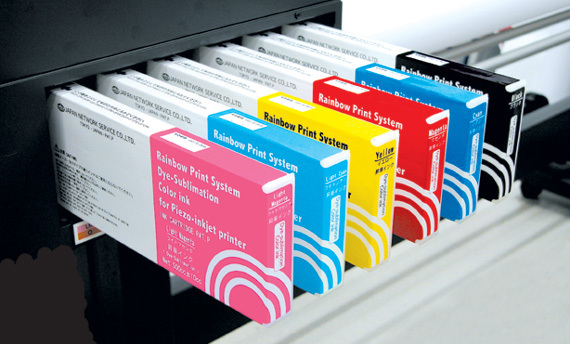 Supply/Inks - Japan Network Service Co.,Ltd. Bright colors, especially BLACK and RED is vivid and deep. A 500cc big cartridge assists unattended operation during night time. High concentrated ink reduces ink consumption. the sensor detects ink shortage. Best for direct dye-sublimation printing.